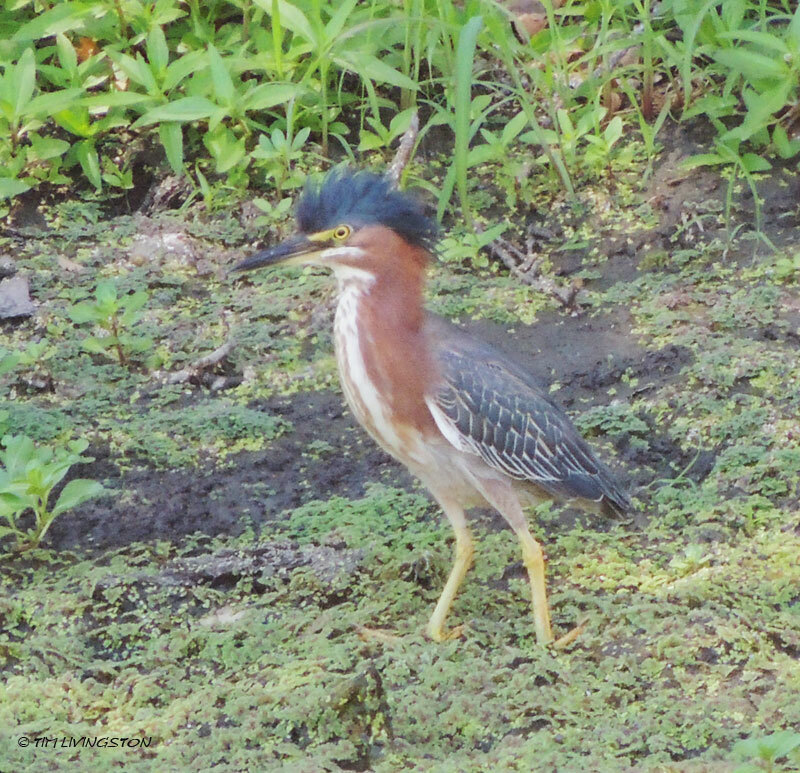 A green heron is one of our less common residents around the mill. This entry was posted in photography, Wildlife, Wildlife At The Mill and tagged birding, birds, Forester Artist, green heron, nature, photography, wildlife by foresterartist. Bookmark the permalink. Normally, their top feathers are laid flat, but that door is stylin’. I think he knew I was taking his picture and was hamming it up for the camera. I’ve never seen one, lucky you. We have a lot of other species of heron on the central coast of California, and they are always thrilling to see, standing or in flight. Keep your eyes out for them. I think they’re in your area too. Two peacocks beat one green heron! We have a peacock that lives across the road from our house in the wildlife area. Someone released it here, but it seems happy. Thanks Joy! It’s funny, I had never seen one have it’s head feathers stick up like that until I took the picture. What a show off! Well, I have never seen one before! LOL! What an interesting looking bird with that top knot. Is it as stubby as it looks here? I’ve been seeing our great blues lately. The pond is not frozen over, but I can’t imagine what they think they will find in the shallows this time of year. It’s a lot smaller than the blues. They don’t usually have the top knot up like this one. It think he was just showing off.